Please feel free to contact us if you have any used restaurant equipment you'd like to sell. Note: We welcome buying equipment from anyone, but not necessarily from anyWHERE! For pick ups of used equipment, we generally DO NOT travel outside of Virginia and the DMV area. 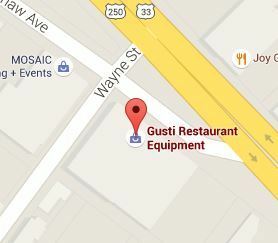 We do not ship used equipment from customers to our location. We WILL consider equipment that is brought to us, after we've considered it through the webform below. Thank you!